Platform.sh is excited to be hiring our first Technical Account Manager for the US region. Helping business stakeholders better understand how their technical investment in our product can bring even greater returns than they currently realize. Helping development teams learn to make more efficient use of the platform. This can include training and general technical consulting, but can also include highly specific tasks like configuration help and troubleshooting. Helping facilitate communication between the customer, our internal support team, and potentially other external stakeholders like development agencies. You've spent several years developing web applications using an array of different frameworks, front and back (but mainly back). You have enough experience building the web to appreciate the right tool for the job, so hate threads about PHP are usually of a waste of your time. You've spent at least a few years on the Linux command line administering public facing servers. You know where to find all the different logs, the stuck SQL queries, what's killing the CPU, what IOPS are and why they matter. You can teach your boss how to create a systemd service. You are familiar with stalwart open source tools like Munin and Nagios, as well as commercial solutions like New Relic and Loggly. You like to talk about caching and performance at length. You don't think using Git from the terminal is hard at all. You have an intermediate amount of experience with AWS, Azure, or GCP. You know what containers are and why they're an important technical development. You're great with people and can speak conversationally on any of the above topics with non-technical "business types". You'll be reporting to the Director of Customer Care who has extensive background with each of our current Technical Accounts in the US and will bring you up to speed. You'll be accountable for 6 to 10 active enterprise customers with a wide range of projects and needs so strong organizational skills are a nice to have, but not strictly required. What's most required is your curiosity and your enthusiasm for helping people solve their problems. 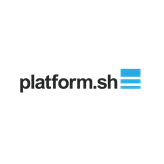 Platform.sh is an incredibly ambitious project it is based on our own technologies from the reproducible build-chain to our container orchestrator through our multi-protocol reverse proxy. We are at the bleeding-edge of GitOps and Serverless infrastructures and we have developed capabilities that are beyond what can be achieved with comparable bleeding-edge environments.